Home Blog What are Male Weight Loss Programs? Weight loss can be difficult, and even more so when there are hidden issues preventing you from losing those extra pounds. Believe it or not, hormones are often to blame when individuals have long tried to lose the weight but have not yet been successful. Fortunately, with the low testosterone screening and supervised medical programs offered by Dr. Mikhail Berman, many men have finally been able to say goodbye to the weight once and for all. 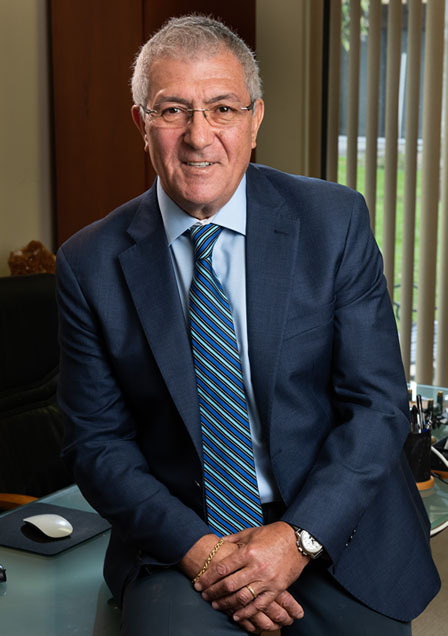 As a licensed medical doctor who has operated a specialized clinic for men for over 30 years, Dr. Berman is uniquely qualified to provide the top male weight loss programs. He has conducted significant research into hormones and how they can impact a man’s ability to gain and/or lose weight. In men who are low in testosterone, gaining weight is almost always inevitable. As this hormone is responsible for everything from sexual performance to metabolism, it’s no wonder that a deficiency in this area can result in problems that can be significant if not corrected. To make matters difficult, it’s rare for a weight loss specialist to take hormones into consideration when encouraging various dieting and exercise plans. That’s precisely where Dr. Berman comes in. As a licensed medical doctor who has helped many men who need to lose weight, Dr. Berman is very familiar with hormones and how they can impact metabolism and overall health. When a new patient arrives for a consultation, he provides a thorough consultation to determine any existing problems. Then, he encourages patients not only to incorporate weight training and a healthy diet into their lives, but to consider low t treatments as well, if needed. How Do Weight Loss Programs for Men with Low Testosterone Work? When dealing with reduced levels of hormones, it’s quite common for me to begin to accumulate extra fat, especially around the belly. Although hormone replacement therapy is not intended primarily for weight loss, these programs often indirectly become male weight loss programs. Since reduced hormones can produce weight gain, the healthy reintroduction of the hormone can help men shed unwanted weight without much extra effort. Since testosterone is responsible for the burning of calories and the building of muscles, it can greatly influence one’s lean muscle mass and weight. Since being overweight can also impact one’s ability to produce hormones, the feedback loop becomes quite a vicious cycle. Dieting can be tricky too, as diets that are low in fat can also cause the thyroid to reduce hormone production. That’s why consuming healthy fats and incorporating frequent exercise, especially weight training, into one’s daily life is beyond crucial. We all need fat in order for our bodies to function and our body needs hormones in order to continue operation. When we consume good fats, our body is told that there are enough calories in our body and that it doesn’t need to hold onto fat, making weight loss possible. This makes a diet full of healthy fats and adequate calories essential to maintaining adequate levels of hormones and preventing excess weight gain. Along with a healthy diet, Dr. Mikhail Berman also offers supervised medical programs that provide hormone replacement to men who require assistance with rebuilding their body’s supply of essential hormones. All in all, there’s no denying that Dr. Berman has truly found a helpful solution for men living with low testosterone. To learn more about the many benefits of Dr. Berman’s weight loss program for men or to schedule a consultation, give our office a call today at (561) 841-1837. Why Does Low Testosterone Cause Male Muscle Loss? What are Low Testosterone Symptoms?